We received some fun mail today! I was so excited! A few days ago we got Dylan’s wedding ring in. A handmade olive wood ring from Croatia. Pictures to come with wedding pictures later. 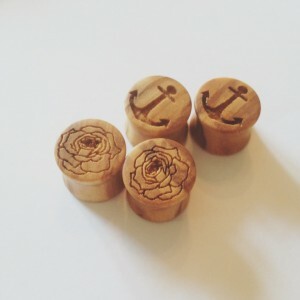 My friend Adam makes these awesome plugs, custom, and we were tickled pink to get them! Roses for me and anchors for Dylan and I surprised Dylan by having our names and wedding date engraved on the back. One problem, Dylan was off on his sizing so now I have two pair! haha. Go check out more of his plugs on his instagram, Plug Haven. 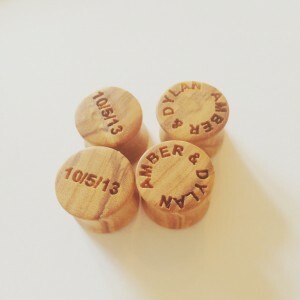 We are extremely happy with our olive wood plugs for the wedding. Highly recommend him! We also received our engagement Polaroids and digital in the mail from the ever so talented Sarah Van Tassel. Look at that cute packaging! Dadgum cute! Post of engagement pictures to come soon! That is, if you’re not already sick of seeing pictures of Dylan and myself. I would be if I was most of you. Don’t forget to go vote for our engagement story! We are currently in the lead and would love to win with your help! Its ridiculously simple and literally takes 10 seconds (or less), no email or anything. 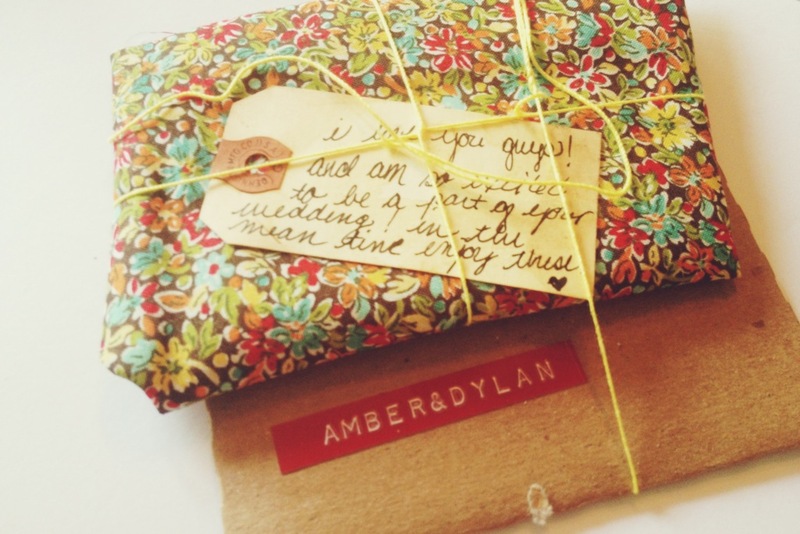 Vote Amber and Dylan.